When the coffee plant was introduced to Brazil in the 1700s, legend has it via a cunning bit of bio-espionage, it flourished. Francisco de Melo Palheta planted the first coffee tree in the state of Pará in 1727 and coffee then spread south reaching Rio de Janeiro in 1770. Coffee was initially planted only for domestic consumption but during the 19th century demand for coffee started to increase in America and Europe. By 1820, coffee plantations began to expand in the states of Rio de Janeiro, São Paulo and Minas Gerais, representing 20 percent of world production and, by 1830, coffee became Brazil’s largest export. 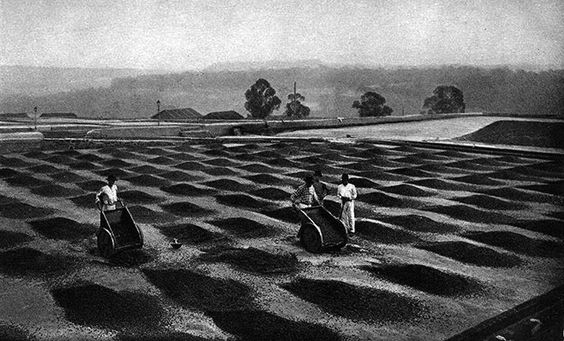 By the early 20th century Brazil had global production in a vice-like grip, supplying 80 percent of all the world’s coffee, and it is still the world's largest producer with roughly a third of the global supply, or three billion tonnes a year. In total, plantations take up an area almost the size of Belgium, mostly in the cooler, higher altitudes of the states of São Paulo and Minas Gerais where the arabica plant is most content. Coffea arabica, the species of coffee plant that grows the highest quality beans, predominates and can be further broken down into varietals. Varietals are hybrids or natural mutations and they keep most of the characteristics of their subspecies but differ from it in at least one significant way. Typica and Bourbon are the parents of almost all the coffee varietals you’ll hear of. Bourbon is usually more productive and is part of the reason Brazil became one of the world's coffee super-producers in the 1860s, when it was introduced to make up for the supply loss caused by a leaf-rust outbreak in Java. Slightly sweeter with a sort of caramel quality, Bourbon coffees also have a nice, crisp acidity, but can present different flavours depending on where they're planted. There are several uniquely Brazilian varietals. Bourbon itself has coloured varieties including red (Bourbon Vermelho) and yellow (Bourbon Amarelo). Confusingly, 'Brazil Santos' is sometimes referred to as a varietal but it is usually used as a grading term for Brazilian coffee rather than a variety of arabica. The name refers to the port in Brazil where coffee passed through, and was regarded as higher quality than "Brazilian coffee" but is usually of the Bourbon variety. The Mundo Novo varietal accounts for about 40 percent of Brazilian coffees and is a hybrid between Typica and Bourbon that was found in Brazil in the 1940s. It’s particularly suited to the country’s climate and farmers like it because of it’s resistant to disease and high yield. Coffee drinkers like it because it produces a sweet cup with a thick body and low acidity. 'Natural' and 'pulped natural' processed coffee are kings in Brazil with naturally processed coffee by far the dominant method of processing. The legend goes that because coffee was traditionally processed this way for 150 years before de-pulping machines were introduced that there is a distinctly “Brazilian” cup. In fact, these processes did help to compensate for the generally lower altitudes in the country and both natural and pulped-natural add a level of sweetness and complexity that would not be attainable without it. In Brazil, the fully washed process is done in very small amounts despite being the dominant processing method across the world. Some Brazilian beans—especially those that are pulped natural or "Brazil natural"—have a pronounced peanutty quality and heavy body that makes them common components in espresso blends. Chocolate and some spice is typical and the coffees tend to linger in the mouth with a less clean aftertaste than other South American beans. Three main growing areas provide most of the top-end Brazil coffees. The oldest, Mogiana, lies along the border of São Paulo and Minas Gerais states north of São Paulo city, and is famous for its deep, richly red soil and its sweet, full, rounded coffees. The rugged, rolling hills of Sul Minas, in the southern part of Minas Gerais state, is the heart of Brazil coffee country and home of two of the largest and best-known fazendas, Ipanema and Monte Alegre. The Cerrado, a high, semi-arid plateau surrounding the city of Patrocinio, midway between São Paulo and Brasilia, is a newer growing area. It is the least picturesque of the three regions with its new towns and high plains, but arguably the most promising in terms of coffee quality, since its dependably clear, dry weather during harvest promotes a more thorough, even drying of the coffee fruit. In fact, the city of São Paulo as we know it exists entirely because of the coffee plant. Much like San Francisco before gold was discovered in the nearby Californian hills, São Paulo was a tiny town mainly used as a staging post for raids and explorations by the mineral and slave seeking Portuguese explorers known as bandeirantes. The arrival of coffee and the suitability of the surrounding terrains for its growth meant the small town was rapidly transformed into one of the largest and fastest growing metropolises in the world. After slavery was abolished in the late 19th century, millions of immigrants from around the world flooded in to work the fields and seek their fortunes in the coffee boom town and, today, the city's rich cosmopolitan demographics reflect this. And yet, in spite of this, Brazil seems to have lost its previous reputation as the global supplier of coffee - nor does it have a renowned coffee culture in the same way that Italy does, or even 'third wave' inspired parts of Australia, the US or the UK. What gives? One reason is that most Brazilian coffee is exported and turned into mass-market instant or pre-ground products sold without indication of the bean’s provenance. This part of the market has also been greatly changed by the arrival after the Vietnam War of Vietnamese coffee, which is made mostly from the hardier robusta variety that can be grown at lower altitudes. It's of inferior quality and cheaper. Higher-spending coffee connoisseurs, meanwhile, who have been known to lust after beans of highly traceable origin - down to the individual parcel of land, its elevation, and the farmer’s name - tend to value African (Rwanda, Ethiopia) and Central American (Guatemala, Colombia) beans most highly. One could conclude the Brazilian coffee industry as having been between the proverbial rock and a hard place, losing market share at both the low and high end of the quality spectrum since its heyday, but that wouldn't quite be accurate. For one thing, the Brazilians themselves have been, in part, happy to see a reduction of their economy's reliance on coffee exports. 100 years ago, the clout of the coffee and dairy producers was so great that an entire political system arose, characterised by dominance of oft-corrupt agrarian oligarchies over the central government, and was given the pithy moniker café com leite (coffee with milk) politics. As the country industrialised after the 1930 revolution, this system - with its corruption and dysfunction - naturally fell away. The fact remains, however, that Brazil has lost a competitive edge due to its generally high infrastructural costs, strong currency and the infamously inefficient 'custo Brasil' bureaucracy. Trade protectionism, too, plays its part, with the ban of green bean imports meaning that local roasters cannot make blends from beans of different origins - which often make some of the most interesting, complex coffees. One renowned São Paulo specialty coffee roaster even considered setting up in less protectionist Uruguay in order to import green beans from abroad to roast unique blends and then truck them into Brazil. One may rightly ask, if the import/export industry appears to be constrained in all these ways, what then of the domestic market? In fact, consumption already is high: the average Brazilian drinks about as much coffee as the average Italian. It's just done in a very different way - in Brazil, it’s all about the cafezinho. This beverage is prepared as follows: ground coffee is boiled with vast amounts of sugar, filtered through a reusable cotton cloth, and left to sit, sometimes for hours, in a thermos. Baristas across the world would blanch at the very thought, but its development as a national institution does have a certain logic to it. 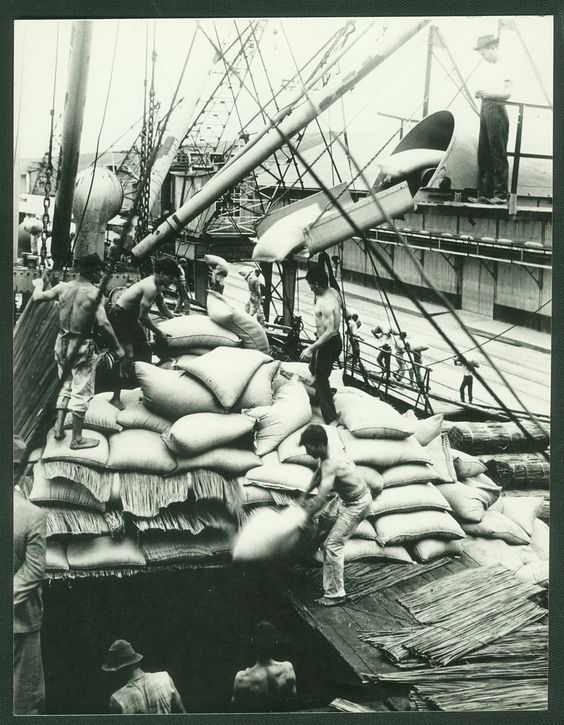 Historically the best coffee was exported and what was left available in Brazil was of poor quality. This was heavily roasted, thus the coffee drink itself needed sugar to mask the unpleasantly bitter taste of bad, burned beans. But since this bad coffee was dirt cheap, the cafezinho was affordable and today forms a big part of the hospitality ritual in most homes. 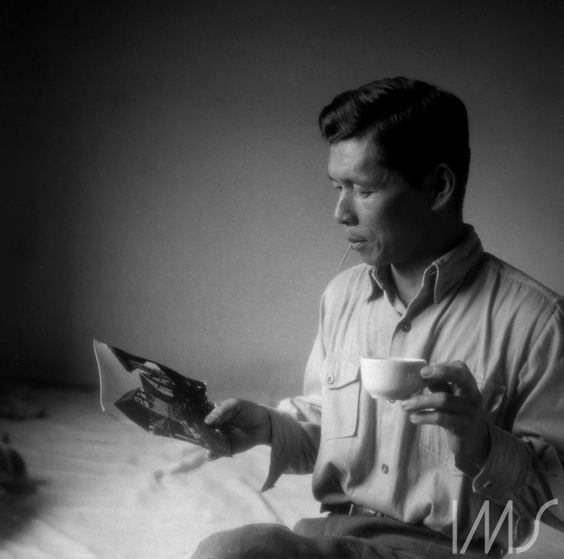 This also explains why there was no vibrant café culture as you’d find in Europe, where coffee was traditionally drunk in a social setting away from the home in part due to its status as an exotic imported product. Yet these Brazilian habits are changing. Already one sees higher-altitude farms producing world-class arabicas (Fazenda Ambiental Fortaleza in São Paulo State is one of the best), and more and more specialist importers in Europe and the English-speaking world are showcasing small-batch ‘cup of excellence’ beans from Brazilian producers (UK roasters Ozone, Has Bean and Notes are good examples). Local consumption habits are changing, too. It’s unlikely that the cafezinho will lose its place amongst Brazilians' hearts but amongst the urban population, at least, there is increasing evidence that locals are starting to appreciate that Brazilian coffee tastes so much better when it's expertly prepared. One pioneer for this nascent trend was Coffee Lab in São Paulo, a specialist roaster, café and coffee retailer located in the popular Vila Madalena neighbourhood and run by the inimitable Isabela Raposeiras. They serve only Brazilian coffee, made on imported Italian machines by expert baristas, and it’s busy all the time. More recently, the diaspora of Coffee Lab alumni and returning Brazilian expats has resulted in a new wave of speciality coffee champions such as Takkø Café (ex-Beluga) and KOF. The future looks promising.